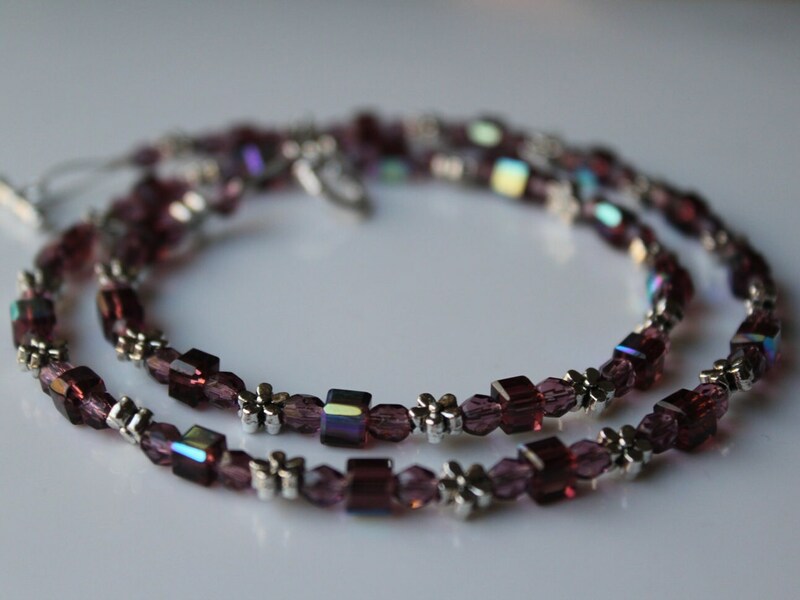 Amethyst Purple glass beads make up this dainty necklace. 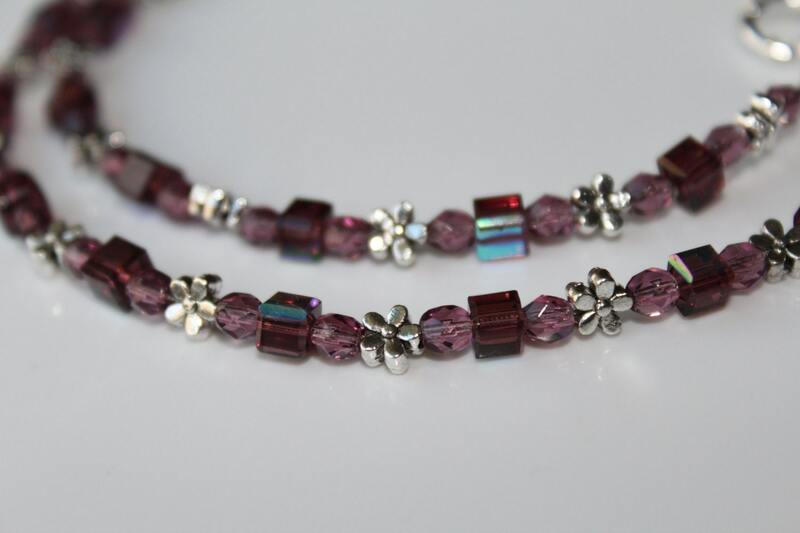 With little sparkles of silver daisies in between, this necklace is the perfect accent to that matching top or dress. 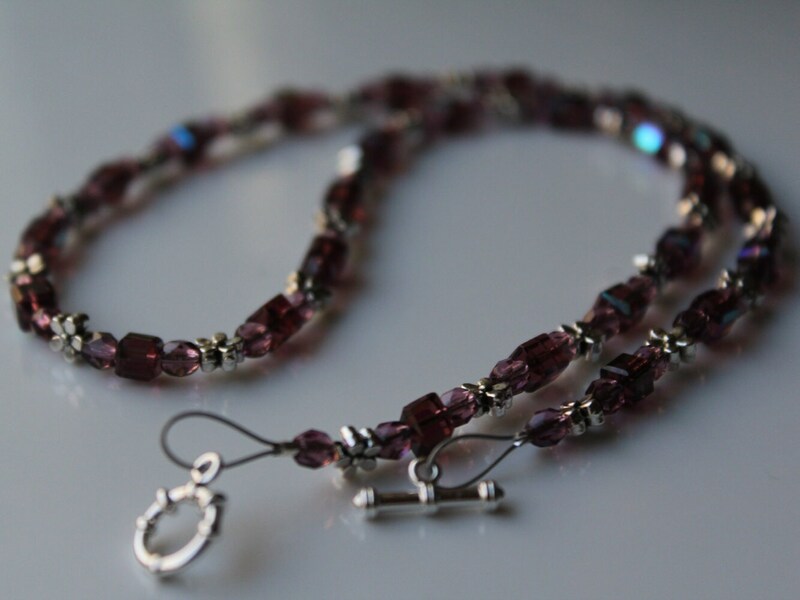 The small beads (4mm), will never take away from your outfit, but simply add class, style and beauty to it. 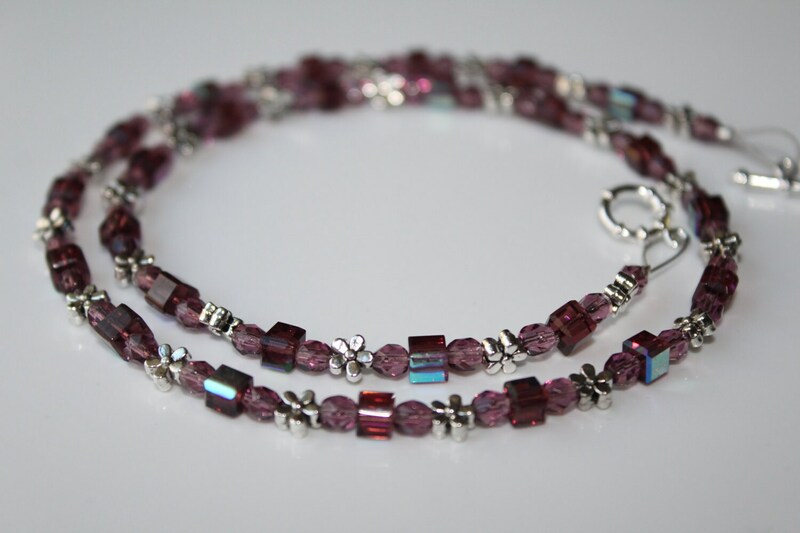 This necklace is approximately 18 inches long.